Runners and placemats complete Society Limonta’s suggestions for the table. 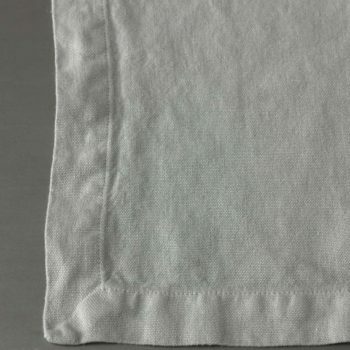 They can be used directly on the table or overlaid on other colours. 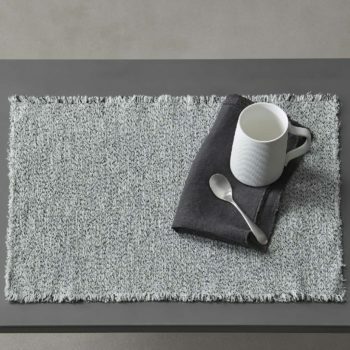 Runners and placemats are available in different fabrics, from froissè linen to linen or cotton canvas, and every collection renews itself with all seasonal colours. 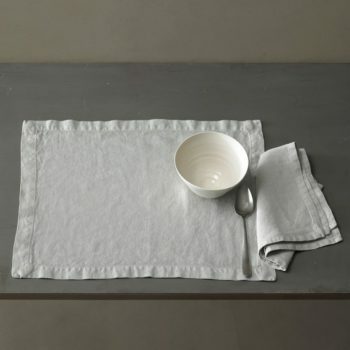 The placemats come only in linen fabric; they give a lively look even with the most refined patterns. They come in 40×50 cm, in different patterns, in solid colours or printed. Perfect for an easy chic table settings. 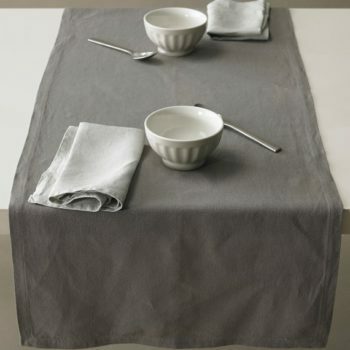 Society Limonta’s linen runner is a practical accessory, which replaces classic tablecloths for the more informal occasions. 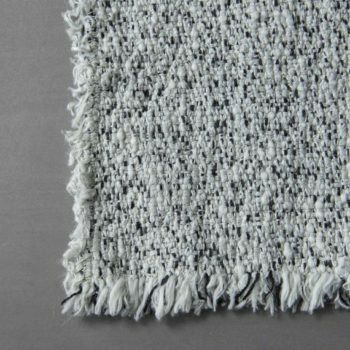 It is a long stripe of linen fabric – 50×140 cm – slightly wavy on the surface and at the touch. 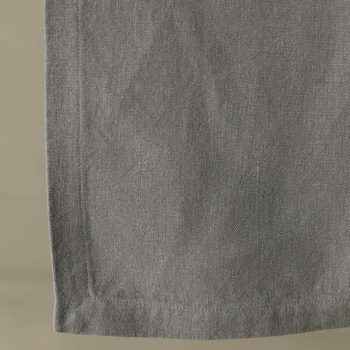 It can be overlaid on a tablecloth with tone on tone combinations or with contrasting colours.